These Italo-Norman nasal helmets were mainly worn during the 12th century by Norman knights who trekked from Sicily to South Italy. Typically is the shape with forward bent peak, which remind to early antique forms. 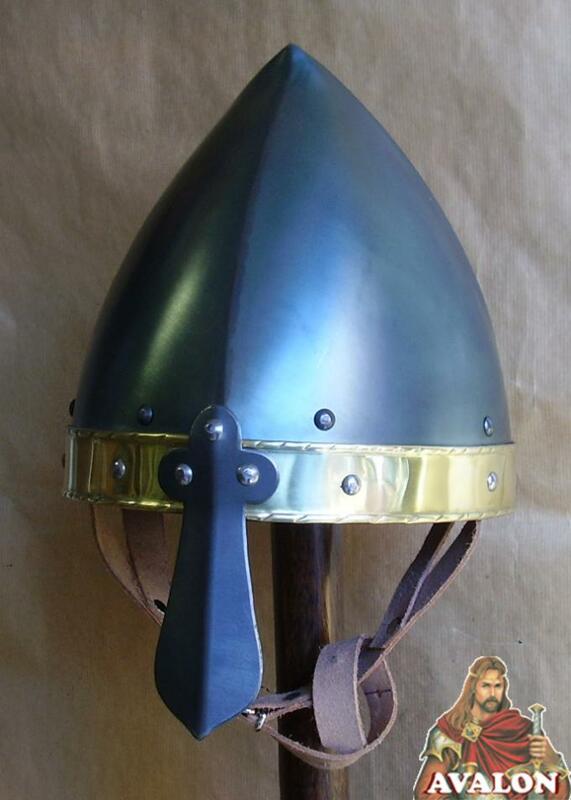 Replica of a close helmet Fully battle-ready and authentic. 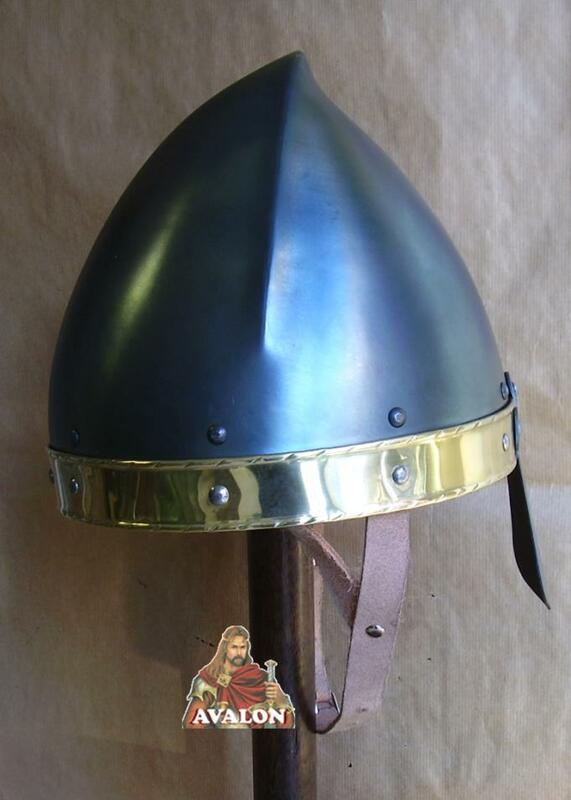 The helmet is made of sheet steel and got a comfortable liner from leather with a chin strap. - Thickness of the steel to choose 1mm -2mm -(16 ga -14 ga). 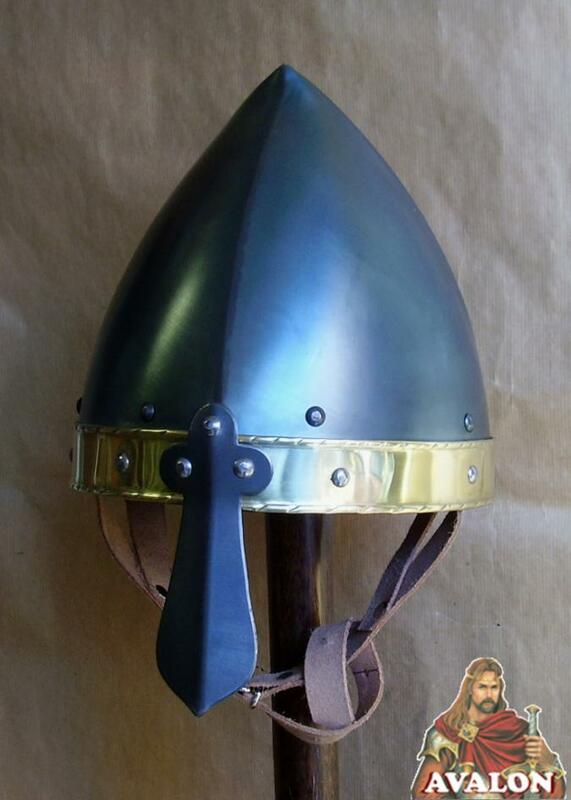 Viking Helmet is produced by highly skilled artisans in Italy, equipped with leather straps and external adjustable buckles to be worn. 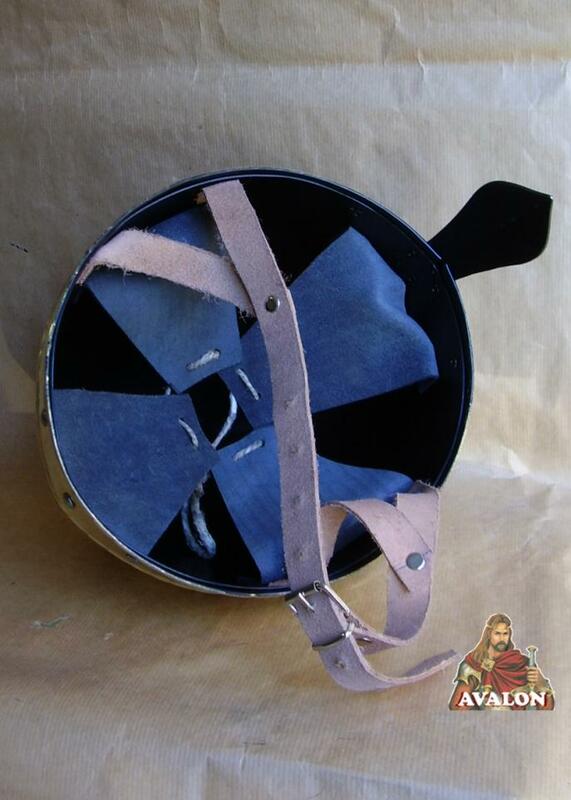 Breastplate protected chest of knights. Part of medieval plate mail armor. Overall Dimensions: 49 x 40 cms - 19 x 16 inches.